It’s Monday yet again, hope you are having a nice & mellow one! 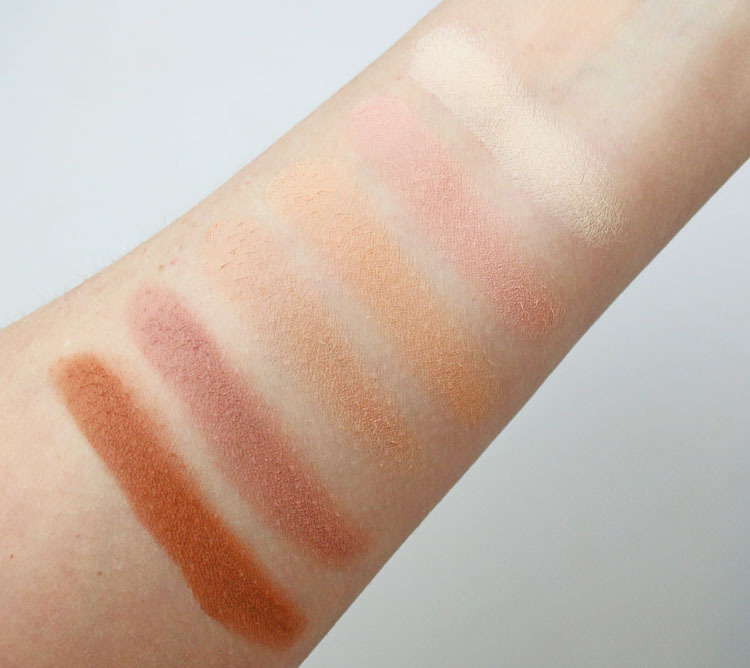 Today I have what I shall call the Milani Spring 2018 Collection for you. 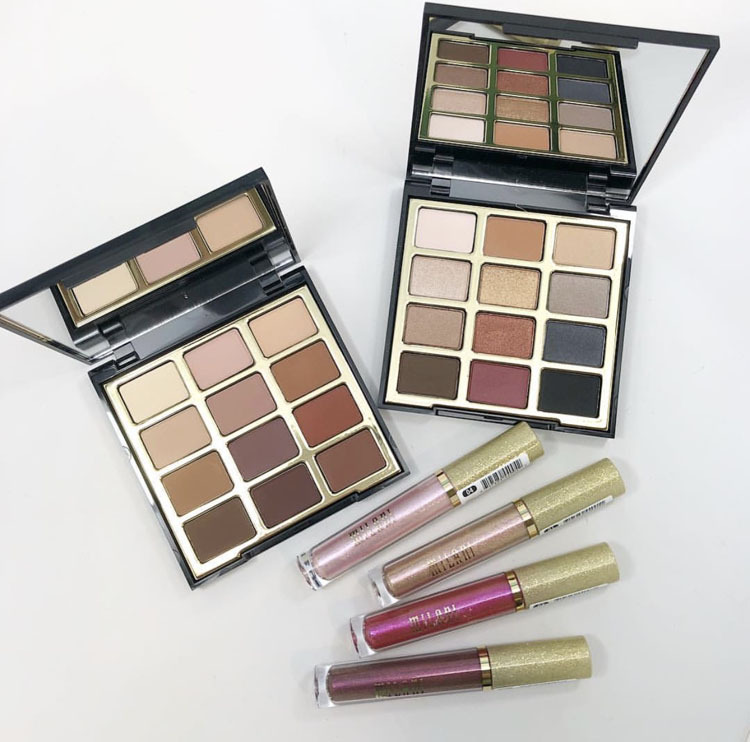 These are just a few of their newer releases including two eyeshadow palettes, which are at Walmart and their new super shimmery lip toppers, which are at Ulta. 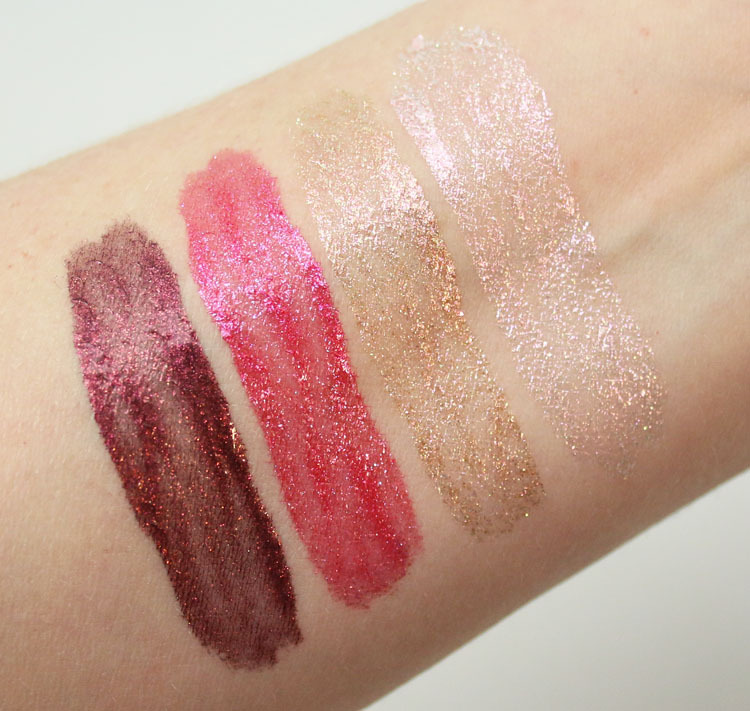 There are actually six of these new lip toppers and the ones I don’t have are Beaming Light (pink/periwinkle) and Flashing Light (pink/gold). 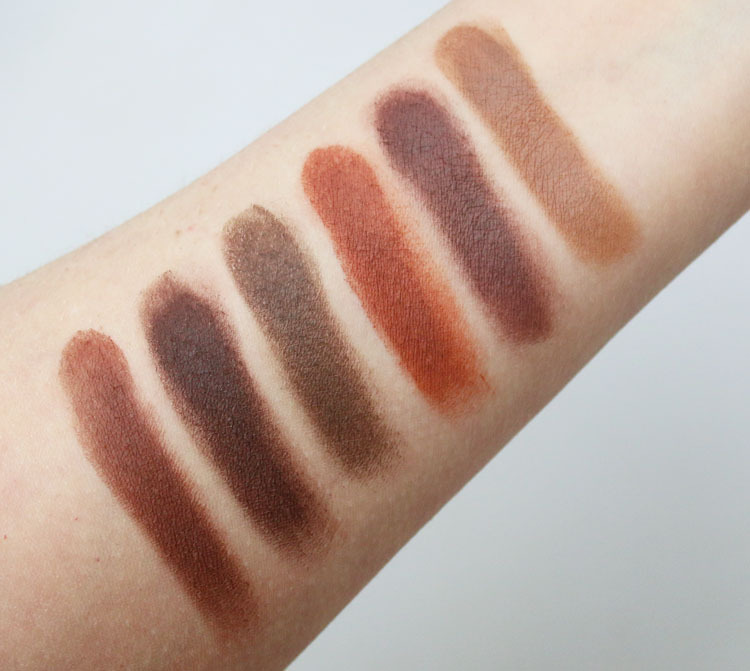 I actually forgot to take photos of the palettes (except the one you see above) before I dove into swatching them, so I apologize for the lack of images of them. I figured the shades were fairly self-explanatory so I didn’t go into detail explaining them all this time around. I know that the Most Loved Mattes Eyeshadow Palette ($20) had a lot of praise, but I actually didn’t find it to be that great. It was ok. I feel like many of the shades had a sort of gritty texture and they tended to skip and not blend out great without a lot of work. 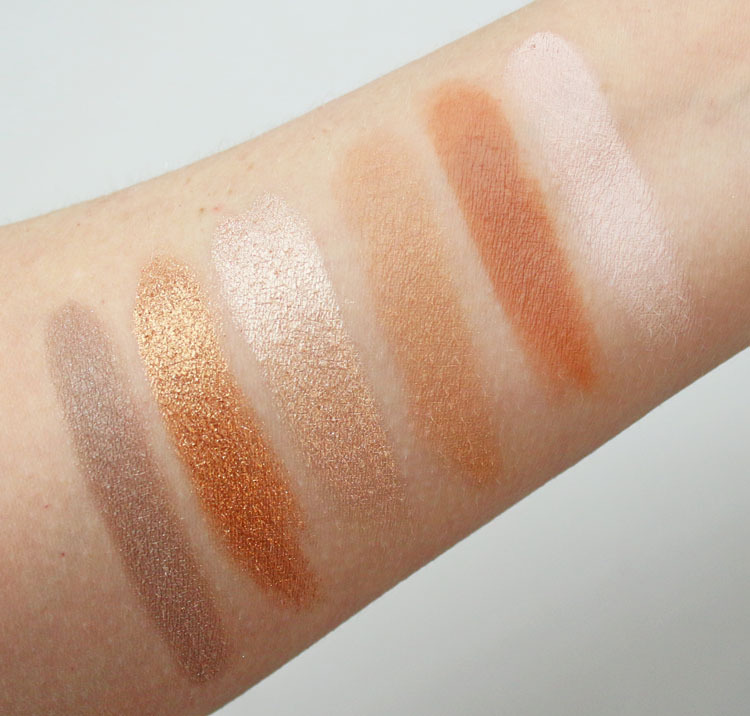 It is a nice range of warm-toned shades, but I think there are better warm-toned matte eyeshadow palettes out there. The Bold Obsessions Eyeshadow Palette ($20) was a bit better in my opinion. 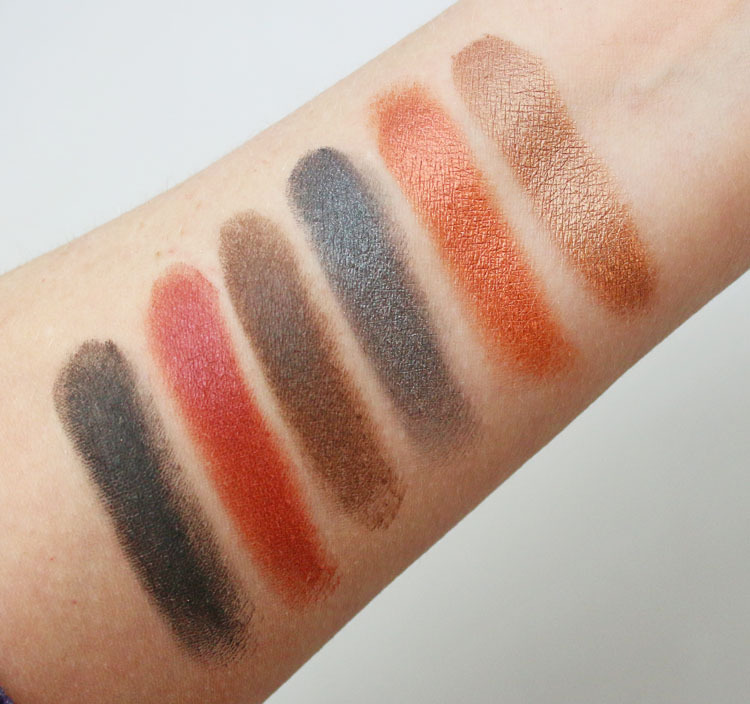 I liked the colors more, I like having various finishes and these felt more pigmented and smoother than the ones in the matte palette – except Little Black Dress, which was a hot patchy mess. The Hypnotic Lights Lip Toppers ($11) are really nice! They are SUPER shimmery with iridescent sparkles galore. They are on the kind of dry, thin feeling side, but still pack a punch either alone or over lipstick. You can check out one of them on my Instagram. 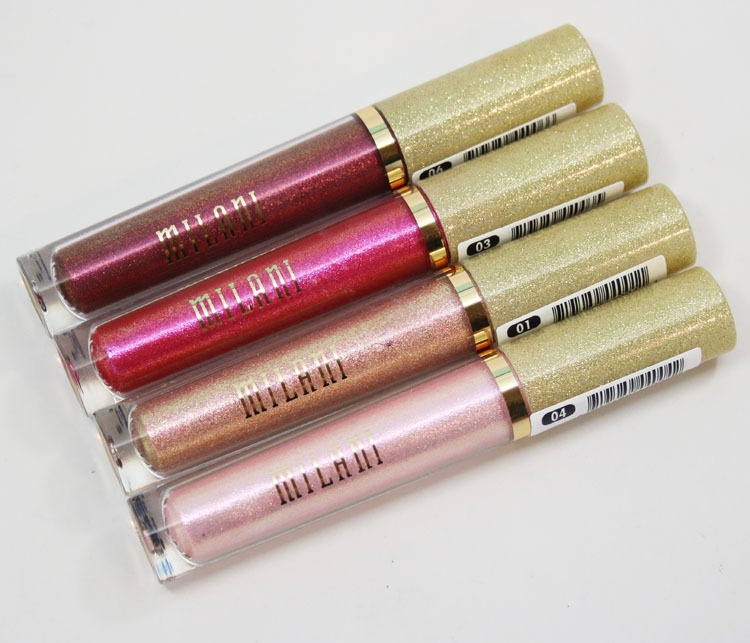 You can find the items from the Milani Spring 2018 Collection at Walmart (eyeshadow palettes), Ulta (lip glosses) and their site. See anything here you want to see in person? The lip toppers are really nice looking and I’m liking the price compared to similar products, might have to pick em up! The lip toppers seem like so much fun, I think I’ll try one!